This past weekend we had the pleasure to compete in a Nasa Time Trial at one of the nations most popular tracks. There was a lot of stiff competition. In the TTU class there were fully race prepped Viper ACR’s, Race Corvettes, and of plenty of Porsche’s.. The near 100F temps and 50% humidity took it’s toll on the competitors but we manage to best out the competition with a 1:30 lap time 2 days in a row with our Forged Prepped GT-R. 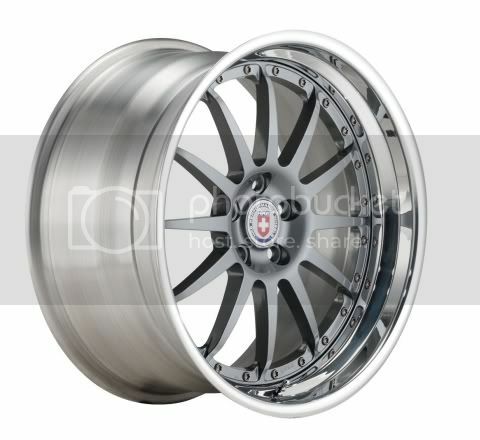 Forged Performance is working with HRE on a special sized 18inch wheel for competition and track use. We will be debuting them at the Pirelli Ultimate Track Car Challenge hosted by Grassroots Motorsports Magazine. We are proud to be associated with HRE, as they share many of the same corporate values as Forged Performance: Super-high quality, high level of customer support and service, and honesty in their business dealings. They get the job done, and they make things right. With the help of HRE they were able to precisely measure vehicle tolerances to tailor fitments that meet our specific needs while taking special consideration for the brake clearance, suspension and tires. We will be using their Competition line for our GT-R. The wheel that suited us best was the Comp 90. 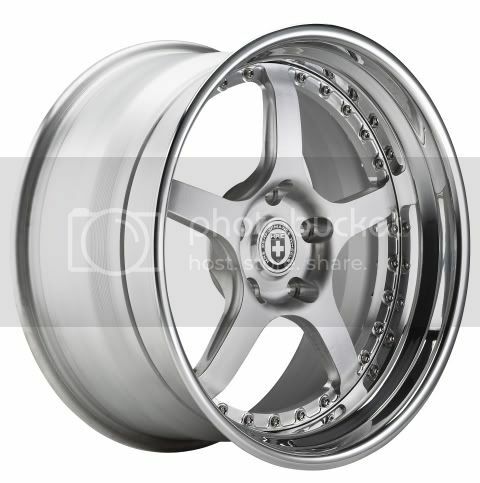 This 3 piece Forged wheel is made with Titanium fasteners and aerospace grade 6061-T6 forged aluminum. Why use a 3 piece wheel? The wheels offer high strength & durability, fitment flexibility options, and replacement of parts if needed. 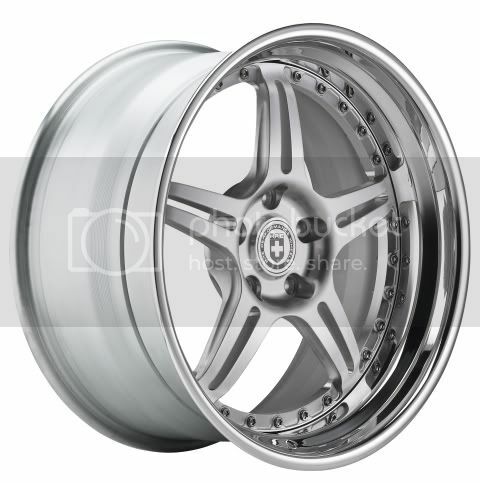 Super high quality 3 piece wheels have been used in professional Motorsports circles for decades. 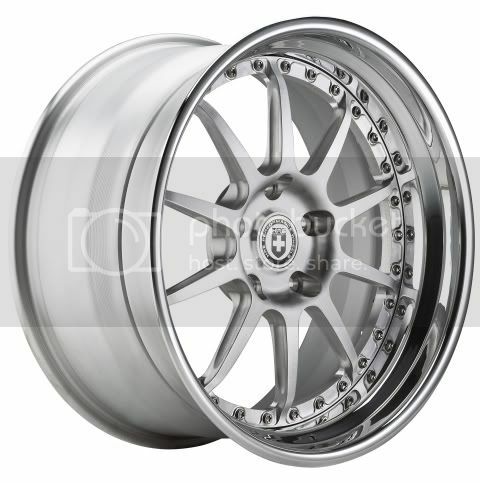 On our Forged Performance GT-R the sizes we decided to go with are 18×10.5 Front, 18×12 Rear with the proper offsets. This will allow us to run our wheels without any spacers. With this specific wheel package it allows us to run a much more aggressive tire sizing for competition usage without protruding from the fenders in an unsafe manner. Each set will be custom tailored for our clients intended usage, tire size, and desired finish, with a leadtime of just 3-4 weeks. As an authorized HRE Dealer we are proud to represent them at the UTCC event. 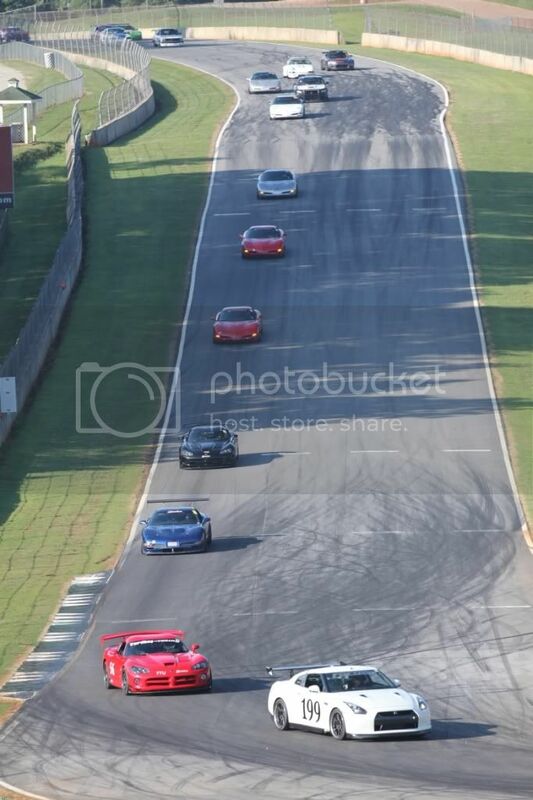 We are looking forward to the stiff competition that lies ahead at Virginia International Raceway. Keep an eye out for the Forged Performance Rocking the HRE C90′s July 23 at VIR! 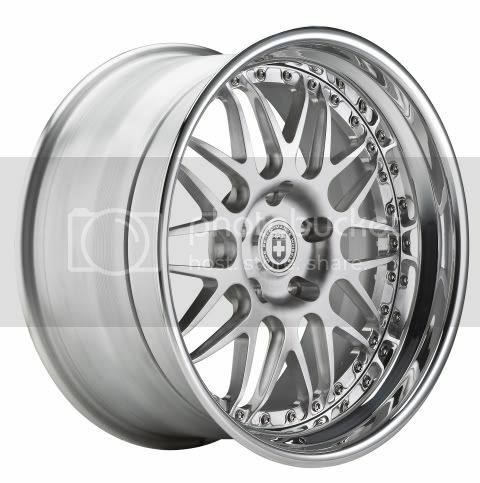 Forged Performance is now an Authorized Dealer for HRE. You may have read in the Wheels & Tires section that Forged Performance has ordered a special 18inch sizing for our track car. We are pleased to announce that we are officially an Authorized dealer of HRE. HRE decided long ago that to produce the best wheels in the world, they needed to control everything from engineering to manufacturing in-house. At HRE, they use only the highest quality components and hand-craft every wheel to TUV Verified Quality standards. 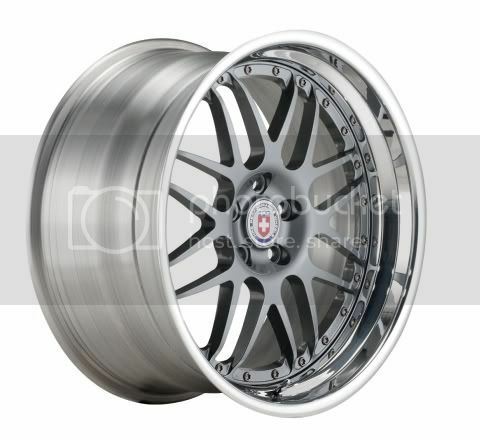 Every HRE wheel is created to provide a lifetime of performance and enjoyment. 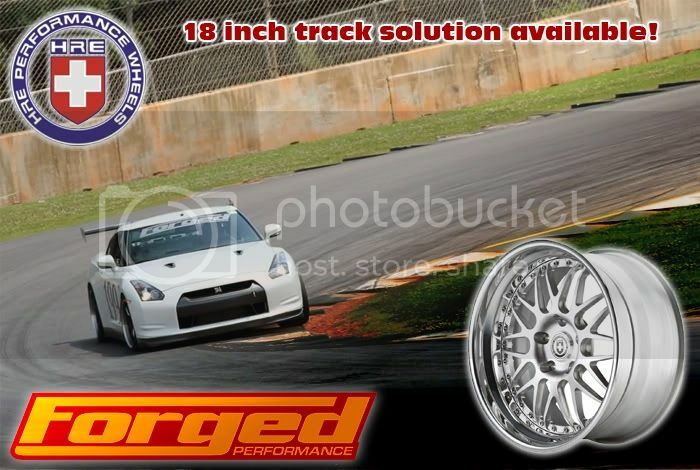 Forged Performance looks forward to offering you the best service, and price available! An intense passion for improving on the world’s finest vehicles is the driving force behind every HRE wheel. For more than 30 years, HRE has been dedicated to achieving the pinnacle in style and performance. As an automotive enthusiast and owner of a world-class vehicle, you share our passion. HRE empowers you to achieve the unique combination of performance and personalization, thereby joining an elite collection of discerning enthusiasts. The aspiration to be the best is not easily fulfilled. HRE pursues this mantra through a combination of efforts. You already know that not all vehicles have the same pedigree – learn why the same applies to wheels and the meaning of “Exclusively HRE”. The track is calling you. Answer with conviction. Take a look at this beautiful line up that are all race ready! Due to the wide variety and combinations of wheels and options, we ask that you contact our staff directly to determine an accurate price and turnaround time for your application. At Forged Performance, customer satisfaction is of utmost importance. With our highly experienced sales staff available we are eager to assist you with your quotes. 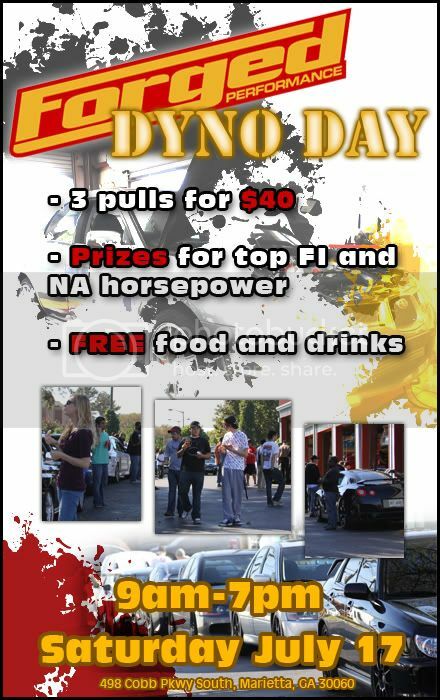 July 17th: Forged Performance Annual Open House and DYNO DAY!! FREE FOOD!! Posted in: Events and Meets. Free Food and Drinks! We are having nationally ranked BBQ expert providing an amazing BBQ lunch from Sam’s BBQ. You don’t want to miss this BBQ…it’s unbelievable!! If you have questions please give us a call we would be happy to help you.